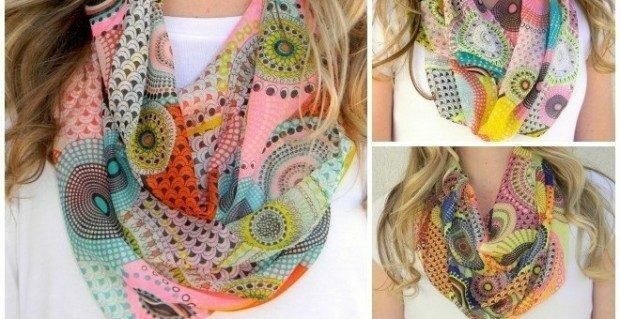 Retro Pattern Infinity Scarves Only $4.99! You are here: Home / Great Deals / Retro Pattern Infinity Scarves Only $4.99! Scarves are a great accent to any outfit, dressy or casual. These are lightweight, soft, colorful scarves–there’s no outfit they won’t compliment! Available in 4 colors! These Retro Pattern Infinity Scarves Only $4.99 at Jane!